Donald John Grybeck had a distinguished career as a scientist, both in the field and in the lab, teacher, miner, earth science manager, photographer and Alaskan explorer. At both Colorado School of Mines and later at a University of Alaska-Fairbanks, he taught students practical field methods and applied laboratory skills for use in their geological careers. 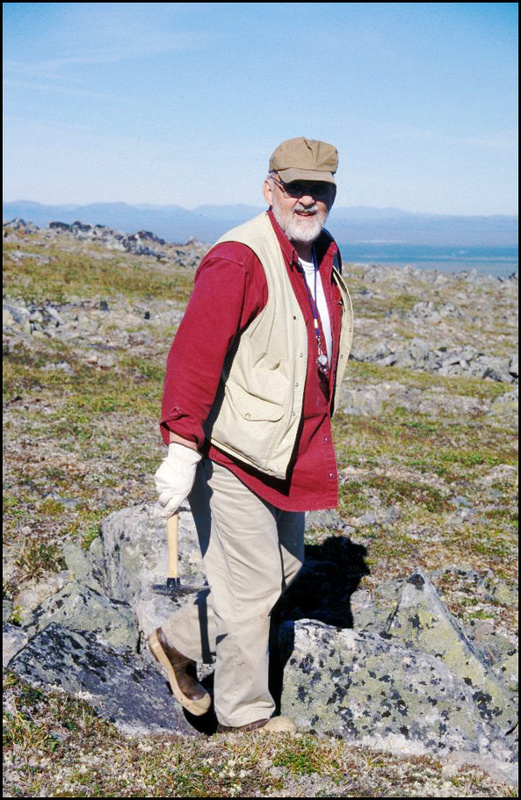 From 1975-2000, Don worked for the United States Geological Survey on many Alaskan projects both as a scientist and as a manger as well as in the Russian Far East; all with a focus on mineral resource studies. 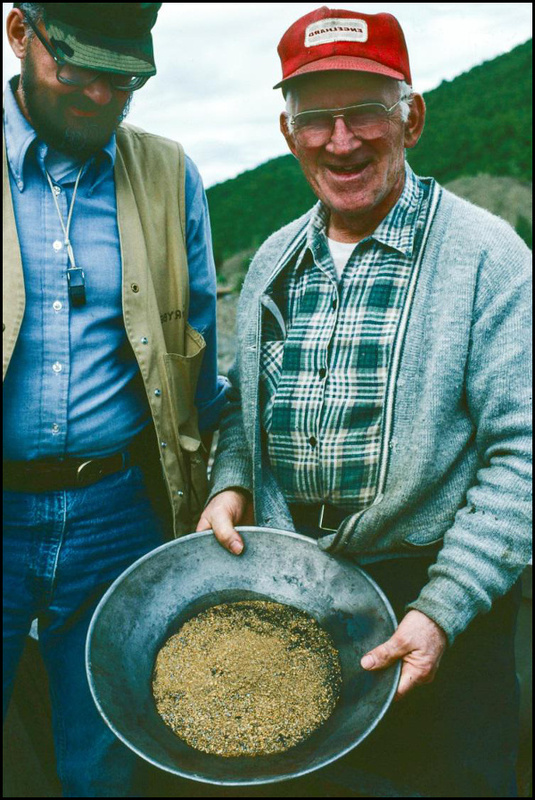 Perhaps one of the most enduring contributions Don made to the Alaska Mineral industry is the key role he played in the establishment of the Alaska Resource Data File (ARDF) system, which took place near the end of his professional career. Don Grybeck was born in Indiana on July 18, 1936. From his earliest days as a child, Don dreamed of living and working in Alaska. His father was an immigrant from central Europe (Czechoslovakia), who fought in the famed Czech Legion during WWI. The army of nearly 70,000 men, which fought with Imperial Russian forces against Austria and Germany, was trapped on the eastern front when Russian Bolshevik leader Vladimir Lenin negotiated a peace treaty with the Central Powers. Don's father was part of the Czech army exodus that traveled across Siberia in armored trains on the Trans-Siberian Railroad to the eastern Port of Vladivostok, Russia, where U.S. President Woodrow Wilson arranged, ostensibly, for safe passage of the well-armed force to join the allied powers in Western Europe. After the war, he immigrated to the United States. Later in life (1991), Don would visit many sites in Vladivostok with several geological colleagues, where his father, a consummate photographer, took hundreds of photographs of pre-Bolshevik buildings in 1918, many of which still exist today. After finishing High School, Don enlisted in the U. S. Army in 1954 and was stationed in South Korea. Don served in several roles, including as a forward observer in the Korean Demilitarized Zone, in an infantry heavy mortar company, in an artillery unit, and as a topographic surveyor. Upon his honorable discharge in 1958, he had reached the rank of Personnel Sergeant. Although an armistice in 1953 effectively ended the Korean conflict, no peace treaty was ever signed and the two Koreas were and still are technically at war with each other. Hence Don was classified as a military war veteran. Don first ventured to Alaska in 1958 following service in the Korean War with the U.S. Army and enrolled at the University of Alaska. Grybeck graduated from the University of Alaska (UA) in 1964 with a Bachelor's Degree in Geological Engineering. While pursuing his geological degree Don spent his summers surveying for the Bureau of Land Management, as an assayer and heavy equipment mechanic for Frank Birch at his Mikado Mine in the Chandalar district of the Brooks Range, and as an underground miner at the Red Devil mercury mine near Sleetmute, southwest Alaska, with fellow student Lenhart Grothe. During this time, he continued to work as a field assistant with the U.S. Geological Survey in Alaska, notably with Pete Sainsbury on the Seward Peninsula. Don is credited with co-discovering new beryllium deposits in the Lost River area. Following graduation from the UA, Grybeck successfully completed a Ph.D. degree at the Colorado School of Mines (CSM) in 1969. His dissertation was titled: "Geology of the lead-zinc-silver deposits of Silver Plume area, Clear Creek County, Colorado". His studies included both surface and underground mapping of several important ore deposits. Don worked for one year as a post-doctoral instructor at CSM, where he taught ore microscopy, structural geology, and stratigraphy for non-geological majors from other departments. While at CSM, Don married fellow student Ellen McGregor and in 1970, they moved back to Fairbanks. Don joined the faculty of the College of Earth Science and Mineral Industries (CESMI) at the University of Alaska-Fairbanks as an Associate Professor. 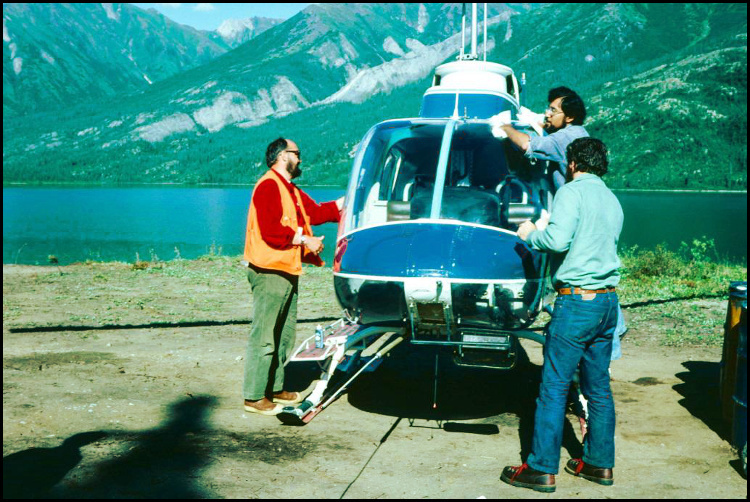 Don's course teaching curriculum included economic geology, structural geology, mineralogy, ore microscopy, field camp, and a graduate course entitled "The Geology of Alaska". During this time, he was a strong advocate for minority students and for women. His family grew with the addition of Michele in 1971 and Mary (Jenny) in 1973. Grybeck left the University in 1975 to take a full time position with the Alaska Branch of the U.S. Geological Survey, first working on the Tracy Arm-Fords Terror Wilderness Assessment in Southeast Alaska and later leading a two year Alaska Mineral Resource Assessment (AMRAP) program in the Survey Pass Quadrangle in the central Brooks Range. He lost his adopted son, Murphy, to a boating-gun accident in 1975, a tragedy from which he never completely recovered. In 1979, Don was elevated to Associate Chief and then Acting Chief of the USGS Minerals Resources Program headquartered in Reston, Virginia. Don was in charge of nearly 800 employees with line responsibility over all USGS hard mineral assessment activities in the United States. During the first part of Don's Reston tour, he was heavily engaged in representing Alaskan mineral interests in the Department of the Interior during the debate that led to the passage of the 1980 Alaska National Interest Lands Conservation Act (ANILCA). Don returned to Alaska in 1984 and from 1985-1990, was head of the Alaska Branch of the USGS. He was in charge of about 80 employees, whose mission was to decipher the geology and mineral resources of Alaska on behalf of the U.S. Government. 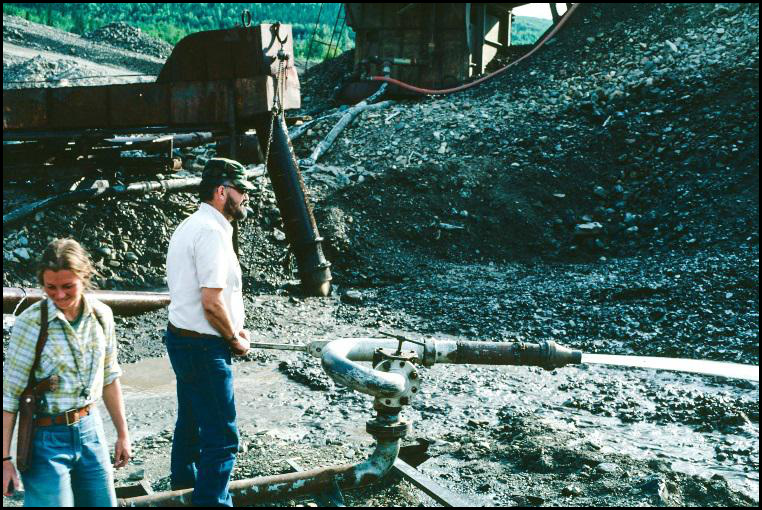 This was during the final years of the Alaska Mineral Resource Assessment Program (AMRAP), which were multifaceted, 1:250,000 mineral resource appraisals conducted throughout Alaska. Don Grybeck tests the Miscovich Intelligiant at Flat, circa 1984. Don's tenure as Alaskan Branch Chief for the USGS occurred during a time of great change politically between the Soviet Union (USSR) and the United States. In 1988, Don traveled to Blagoveshchensk, a city of about 300,000 on the banks of the Amur River in the Soviet Far East to meet with Soviet science managers about proposed cooperative agreements. These studies would include economic geologists from the Soviet Academy of Sciences and the USGS and would compare mineral deposits and belts of ophiolites in Alaska and the Soviet Far East. He succeeded in consummating the programs, although the ophiolite study was never completed. 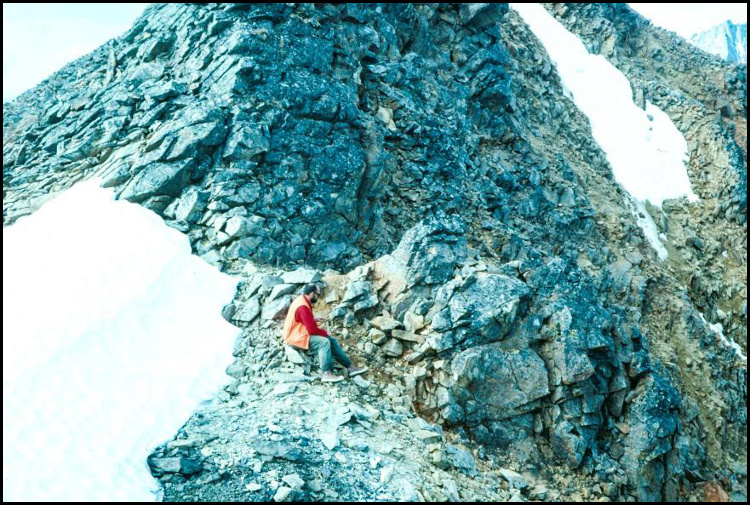 The State of Alaska, Division of Geological and Geophysical Surveys (ADGGS) and Geological Survey of Canada (GSC) became professional and financial partners to the cooperative mineral resource studies beginning in 1989 and 1991 respectively. Tom Bundtzen represented ADGGS while Ken Dawson and James Monger represented the GSC. Don assigned Warren J. Nokleberg to head the mineral resource and tectonic framework assessments, which involved field investigations from 1989-1995 in Alaska, Canada, and the Soviet Union (later Russian Federation) during alternate years. Nokleberg would continue to expand the program into the early 21st Century. Don remained a contributor to the original effort until its termination in the mid-1990s. The mineral deposit data files published by the project in 1993 constituted the first systematic minerals data bases to be publically released from the Russian Far East. Western representatives of the effort, including Don, were among the first from the west to visit Magadan, Vladivostok, and Petropavlovsk-Kamchatski as all three cities were closed Soviet military centers until 1991. In 1989, the group was the first from the west to visit a long abandoned, Gulag era concentration camp, the Butugychag tin-uranium mine complex, in the Magadan region. In 1990, the Alaska Miners Association graciously sponsored Soviet representatives of the cooperative program at their Annual Convention in Anchorage. Don and Ellen Grybeck arranged for housing throughout the Anchorage area for many of the Soviet scientists during their stay. 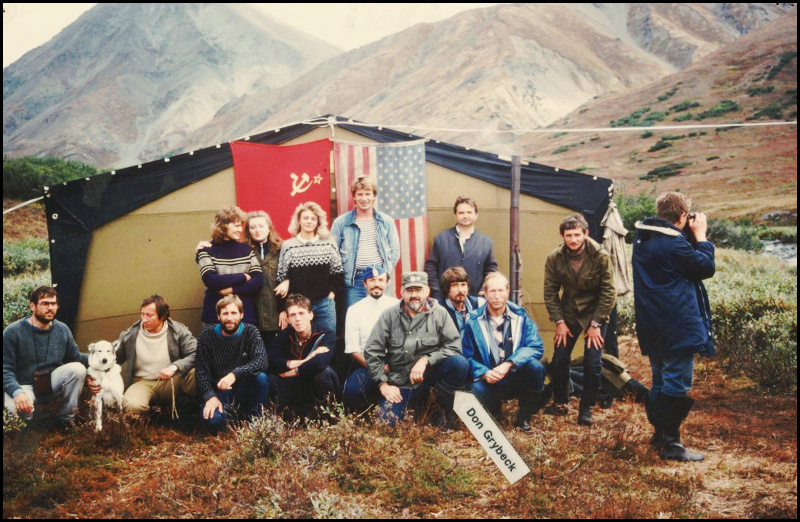 Don Grybeck (in center of the photo) and Project Leader Warren Nokleberg (to the right of Don) in the Epilchik Lake region of the northern Kamchatka Peninsula region, then Soviet Far East, in August, 1989. The team of Russian and U.S. geologists were investigating platinum-bearing, Ural-Alaska, zoned, mafic-ultramafic complexes as part of the Cooperative program between the Soviet Academy of Sciences, the U.S. Geological Survey, and the Alaska Division of Geological and Geophysical Surveys. Near the end of his tenure with the USGS, Don became the go-to guy to secure funding from the U.S. Congress for the "Data at Risk" program, which sought to preserve unpublished geological information in danger of being lost. Don's efforts resulted in a $2 million appropriation in FY 1998, which carried on through FY 2004. His contribution to the Alaska Minerals community was the Alaska Resource Data File records or 'ARDF'. There is not a single serious Alaska mineral exploration program that does not utilize this important data set during their search for the Last Frontier's mineral wealth. In 1999, Don retired from the USGS and moved to Washington State, where he continued to work on and manage ARDF data bases. The ARDF data base can be accessed at http://ardf.wr.usgs.gov/. Don consulted in the private sector for a number of years after retirement, especially on the Seward Peninsula, where his Alaskan geological career began. Don Grybeck passed away on August 24th, 2012 at his home in Port Ludlow, Washington. 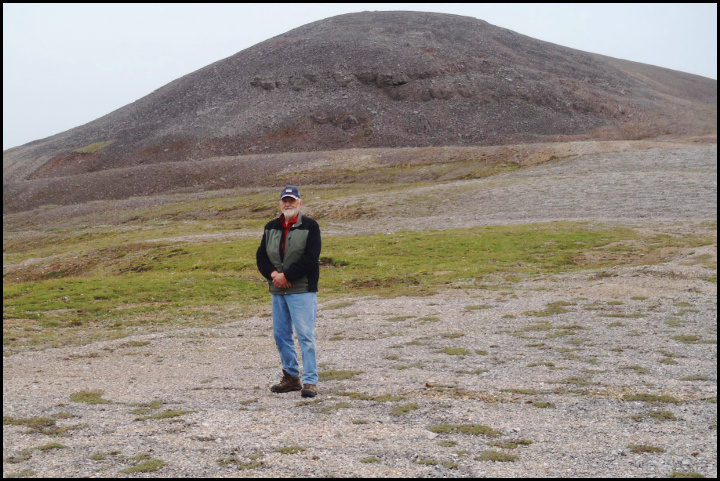 Don Grybeck at the Bessie Maple skarn prospect in the Lost River District on the Seward Peninsula, in the fall of 2011, about one year before his death. 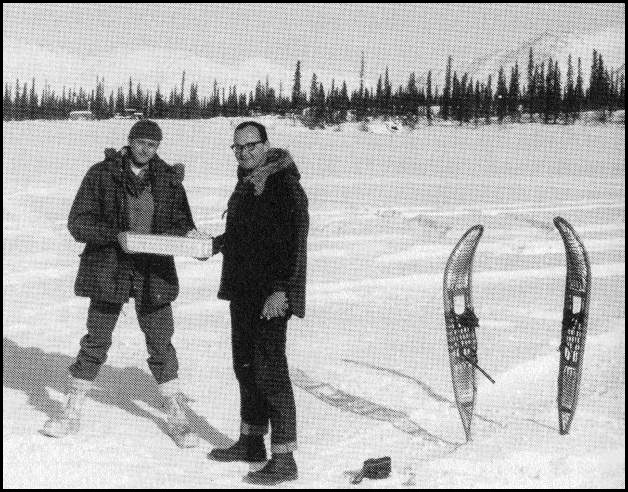 In 1962, Don was working with U.S. Geological Survey geologist Pete Sainsbury as his field assistant. Sainsbury turned Don loose and told him, "bring me back a geologic map," which he did. It was Don's first geologic map—50 years before this photo was taken. Don's nickname was "Grizz", which reflected his large stature, his full beard, and sometimes 'blustery' personality. He is remembered by friends and colleagues as a compassionate, humorous man with a great laugh. Don Grybeck is listed on no less than 112 USGS publications on Alaska geology and the states mineral resources and/or potential mineral resources. He was the lead author on thirty three of these publications. His contribution was statewide but with particular focus on Southeast Alaska (Wrangell-Petersburg area, Prince of Wales Island and Glacier Bay) and the Brooks Range (Survey Pass and Ambler River quadrangles). He contributed materially to USGS studies in the Goodnews Bay (Platinum) area and the Seward Peninsula. He is also listed as a contributing author to mineral resource studies in the Russian Far East. In addition to his chosen career as a geoscientist, administrator and teacher, Don was also keenly interested in Alaska's history and in particular the states mining history. He was an active member of the Alaska Historical Society and a founding member of the Alaska Mining Hall of Fame Foundation. Like his father, Don was an outstanding photographer. Thousands of his 35 mm slides dating from 1955-to-2006, which feature geological field work in Alaska, prospectors, mining camps, mining equipment, towns, rock formations, and slides from the Russian Far East and Saudi Arabia, can be accessed at the Archives and Special Collections Department at the University of Alaska-Anchorage. An equally important collection of Don's are his polished sections of ore minerals from hundreds of mines and prospects, which have been delivered to various academic locations subsequent to his death. At one time, the collection was considered to be among the largest in the country. Don had a special interest in mineralogy and all the tools used to study minerals. He was an expert at repairing, maintaining, and using all types of microscopes but especially worked with reflected light microscopes as his large mineral collection contained many polished ore mineral specimens. He even operated his own X-ray diffractometer. For many years, Don provided an informal mineral identification service for anyone sending him specimens from around the state. This year, the University of Alaska-Fairbanks Alumni Association awarded Dr. Grybeck with the Lenhart J. H. Grothe award, an award that is given , to an alumnus who made significant contributions in the petroleum resource, mining or agricultural fields.